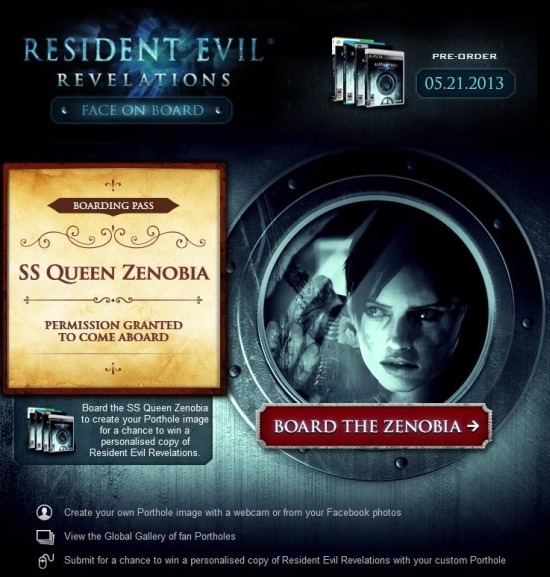 Resident Evil: Revelations: Facebook app that lets you put your face on the cover! Facebook app that lets you put your face on the cover! Capcom as part of their campaign to promote the HD ports of Resident Evil: Revelations, has launched a Facebook app called 'Face on Board', which allows fans to create their own personalized version of the Resident Evil Revelations box art with the application. The application also has a competition element, giving fans the chance to win a copy of the game with their personalised Resident Evil Revelations artwork.